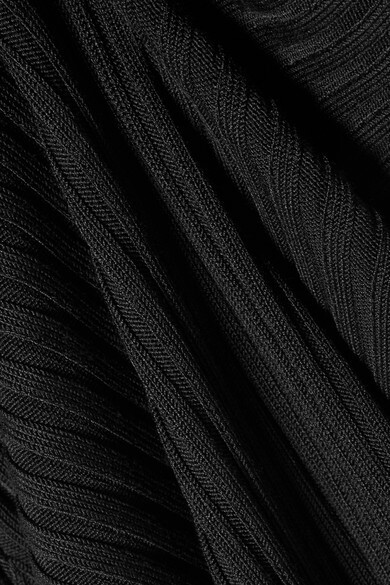 When the weather takes a colder turn, we look to Joseph for its luxurious knitwear. 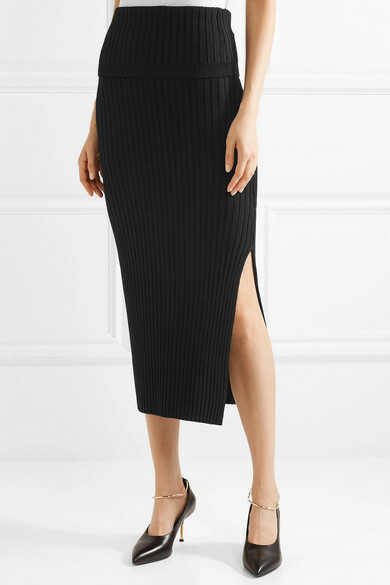 This midi skirt is cut from ribbed stretch-knit to sculpt your figure. 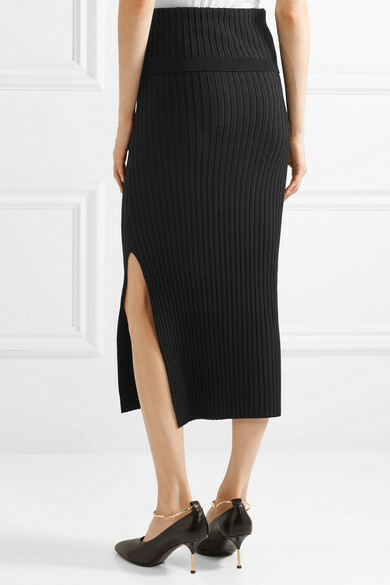 Style it with a sweater or crisp shirt and highlight the side split with statement pumps. 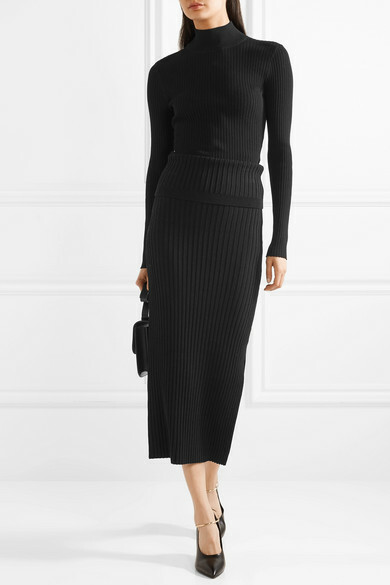 Shown here with: Stella McCartney Sweater, Victoria Beckham Shoulder bag, Jil Sander Pumps.